Stepping on a strongly electrified grid is highly aversive. A desperately hungry rat - even a rat who hasn't eaten for 10 days - won't run across an electrified cage-floor to reach a food-source: the shocks are too painful. But a rat with electrodes implanted in its neural reward circuitry will cross the grid, repeatedly, to gain the chance to self-stimulate its pleasure centres. Direct electrical stimulation of the mesolimbic dopamine system is so overpoweringly delightful that the anticipated reward eclipses the immediate pain. The brain's dopamine system has a dual psychological role: it regulates not just pleasure, but cue-induced craving. Cues such as seeing, smelling or tasting something potentially enjoyable - and the prospect of pressing a magic lever - heighten the desire for an anticipated reward without necessarily increasing the pleasure of the reward itself. An experienced rat with electrodes in its pleasure centers is very highly motivated. A mother will abandon her unweaned pups in order to self-stimulate indefinitely. Euphoriant drugs such as cocaine and amphetamines activate the mesolimbic reward circuitry too. But they also activate the homeostatic mechanisms of the brain. These are control mechanisms that regulate our level of well-being (or, quite commonly, ill-being) analogous to the inhibitory feedback loops of, say, the thermoregulatory system. Thus psychostimulants activate not just the reward pathways, but neural "stress chemicals" such as corticotrophin-releasing factor(CRF); CRF-1 antagonists now in the pharmaceutical product-pipeline are promising anti-anxiety agents and antidepressants. Our endogenous stress system serves to minimise, or act as a brake on, the quantity and quality of pleasure we can "naturally" obtain in a lifetime. This design-limitation is quietly satisfying to pharmacological Calvinists and religious fundamentalists alike. It is also the cause of immense suffering and malaise. Stress-induced overactivity of hypothalamic CRF/CRH neurons contributes to hyperactivity of the hypothalamic-pituitary-adrenocortical (HPA) system. Chronic HPA overactivity eventually demotivates and depresses its victims. HPA hyperdrive can lead to a spectrum of learned helplessness and behavioural despair characteristic of some forms of clinical depression. By contrast, direct intracranial self-stimulation subverts these homeostatic mechanisms. Wireheading never ceases to feel sublime, regardless of how many times the subject self-stimulates the neural reward centres. Possibly - though this is controversial - tolerance to its hedonic effects is absent because electrical stimulation of the mesolimbic dopamine system activates the final common pathway of pleasure. The precise "hedonic hotspot" remains elusive. The molecular signature of pure bliss hasn't yet been identified. The role of the mu opioid receptor subtype is clearly critical. But the answer may lie in the unique chemistry of medium spiny neurons in the rostromedial shell of the nucleus accumbens. Experiments with electrified grids for self-stimulating humans to navigate are neither imminent nor ethical. So we can't prove just how powerfully motivating would be the implantation of optimally-located microelectrodes in normal human subjects. Even uncomplicated wireheading is currently considered unethical by medical orthodoxy. Thus the pioneering human experiments of controversial Tulane psychiatrist Robert Heath have not been repeated or refined - even to treat victims of refractory depression unresponsive to conventional antidepressants. Instead, repetitive transcranial magnetic stimulation (rTMS), ECT, and even (rarely) psychosurgery are medically sanctioned in extremis for "treatment-resistant" depressives. Their long-term clinical efficacy is uncertain. Vagus nerve stimulation was licensed to treat refractory depression in early 2006; but even the FDA acknowledges that the evidence for its efficacy is weak. Better drug-design is one option. A long-term solution to the ills of Darwinian life is rewriting our own genetic code. 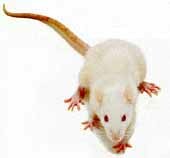 Our genetically-enriched descendants may enjoy levels of incentive-motivation that are analogous to - and possibly far greater than - whatever drives a rat to cross an electrified grid as an ingredient of lifelong mental health. Decoding the human genome - and soon the proteome and transcriptome - opens up technical possibilities it would be unethical to ignore in a viciously pain-ridden world. For we can potentially amplify, modulate and redesign the architecture of our own neural reward mechanisms. Unlike our bodily thermostat, which can operate only within a narrow temperature range, the homeostatic mechanisms that govern human emotion and motivation can be radically recalibrated. Recalibrating the pleasure-pain axis may endow us with a far higher emotional "set-point" around which to oscillate than the dismal Darwinian norm. Avoidance of crude pleasure-maximising interventions is prudent because uniform happiness is no more educative or illuminating than uniform despair. A wholly emotionally stable subject - and in theory an entire emotionally stable civilisation - could get "stuck in a rut", whether that "rut" is a slough of despond or a sub-optimal plateau of bliss. But learning and personal development based on gradients of well-being can be both educative and powerfully motivating. A life animated by gradients of well-being is also personally more soul-enriching than learning based on gradients of pain. On this scenario, bad hair days in any future post-Darwinian era of paradise-engineering may be merely wonderful rather than sublime. Centuries hence, the computational-functional analogs of traditional "painful lessons" will survive, but not their cruel Darwinian textures. Indeed the homeostatic baseline of even our own (un)happiness could potentially be reset at a level of sustainable well-being orders of magnitude higher than the norm adaptive for small social groups of naked apes on the African savannah. What's the theoretical maximum of pure bliss? We don't know. Should the empirical methodology of science be used to find out? No research proposal with that aim has yet gained funding. How accurately can pleasure and pain be quantified on a single unidimensional scale? This is disputable, albeit more as a complication than a fundamental obstacle to the abolitionist project. What fail-safe genetic mechanisms can prevent - or today sometimes fail to prevent - extreme happiness spiralling off instead into psychotic mania? Again, we're still not sure. This challenge must be met before we can safely explore germline therapy for hereditary mental superhealth. In future, safer and more sophisticated analogs of wireheading may conceivably be on offer as an individual lifestyle choice. Implausibly, for sure, the freedom to wirehead might one day count as a basic human right. After all, an inalienable right to the "pursuit of happiness" was recognised by the US Founding Fathers and enshrined in the Declaration of Independence (1776). Yet the pursuit of wireheading or its analogs is not an evolutionarily stable strategy - whether for rodents, monkeys, or a future (post-)human civilization. In the era of mature genomic medicine, when the corrupt legacy code of our ancestors has been rewritten, our descendants may be animated by gradients of lifelong happiness far richer, multi-dimensional, and more profound than anything physiologically accessible at present. Globally, however, it's hard to envisage how individual well-being could be purely orgasmic, undirected at intentional objects. ["Intentionality" is a philosophers' term of art for the "object-directedness" or "aboutness" of thought.] Selection pressure doesn't favour higher vertebrates who neglect their pups. Over millions of years, natural selection has favoured the "encephalisation of emotion". We've become brainier and (comparatively) more emotionally sophisticated. Raw feeling and emotion typically infuse neocortical representations of ourselves and our environment in ways tending to maximise the inclusive fitness of self-replicating DNA. Most recently, the rich generative syntax of human language enables us to be (un)happy "about" innumerably more notions than our hominid ancestors. Admittedly, the discontinuity represented by the imminent revolution in reproductive medicine - a major evolutionary transition in the development of life on earth - could in principle reverse this long-term trend to complexification. In the post-Darwinian era of "unnatural" selection based on premeditated design, we could, in theory, choose genes that make our children blissed out rather than blissful. But it's more likely our descendants will opt instead to enjoy a well-being for their children (and themselves) that is far more encephalised than our own. Almost certainly, posterity will be smarter. They may even be nicer. The tendency to encephalise feeling may accelerate, even as those feelings tend to become deeper, more intense and more beautiful. Our emotional palette may be diversified far beyond today's primitive Darwinian appetites and their crude sublimations. Thus our enriched well-being may be predominantly empathetic, sensual, psychedelic, cerebral, aesthetic, introspective, maternal, or assume forms of consciousness unimaginable to emotional primitives living in the early twenty-first century. Our post-human successors presumably won't undergo the agonies of our laboratory rodents in pursuit of such exhilarating lives. No cruel electrified grids will need to be crossed. In the new reproductive era, emotional well-being and prodigious will-power alike can potentially be genetically hardwired as a precondition of mental health. "Authentic happiness" doesn't need to be strived for. Like a sense of meaning and purpose, it can be innate. Today, meanwhile, many people find it hard to get out of bed in the morning. Given the prevalence of chronic dysthymia, anhedonia and low-grade depression in even the "well" population at large, such inertia is scarcely surprising. Why bother to exert oneself if the payoff is so meagre? Depressive and unmotivated people are likely to find life "meaningless", "absurd", "futile". Nihilistic thoughts and angst-ridden mindsets are common. Feelings of inadequacy and failure can haunt the ostensibly successful. And the world is full of walking wounded whose spirit has been crushed. Conversely (and for evolutionary reasons, less commonly), hyperthymic or euphorically hypomanic people tend to find life intensely meaningful. A heightened sense of significance is part of the texture of their lives. If our happiness is taken care of - whether genetically, pharmacologically, or electrosurgically - then the meaning of life seems to take care of itself. Depressives, philosophers and hard-nosed scientists may respond that "the meaning of life" is cognitively meaningless, a verbal placebo empty of propositional content. Happy and hypermotivated people, on the other hand, find the meaning of life self-intimating, written into the texture of the(ir) world. Chronic apathy, weak will-power, depressive disorders, and the nastier poisonous modes of Darwinian consciousness can in principle be remedied by 1] drugs, 2] genes or 3] electrodes. These choices are not mutually exclusive. The abolitionist project and any post-Darwinian civilisation based on paradise-engineering could in theory take advantage of all three. But each option is highly controversial.